The International Trailer for Supernatural Thriller 'RED LIGHTS' Starring Robert DeNiro, Cillian Murphy & Sigourney Weaver! An international trailer for Rodrigo Cortes' supernatural thriller Red Lights has arrived online. The movie follows a pair of skeptical investigators [Sigourney Weaver & Cillian Murphy] as they attempt to reveal practitioners of psychic arts [Robert De Niro] as phonies. Elizabeth Olsen co-stars. The movie doesn't have distribution in the US yet, but it will be released this March in Spain & that's why we have an international trailer today which comes via Antena3. Hit the jump to check it out. Synopsis: "Two paranormal fraud investigators, the veteran Dr. Margaret Matheson (Weaver) and her young assistant, Tom Buckley (Murphy), study the diverse phenomena of metaphysics with the intention to demonstrate its fraudulent origin. Simon Silver (De Niro), a legendary psychic, perhaps the most famous gifted of all time, returns after thirty years of mysterious absence to become the world's greatest challenger to orthodox science and professional skeptics. Tom begins to develop a dense obsession to silver, whose magnetism is enhanced dangerously with each new manifestation of inexplicable dark phenomena." 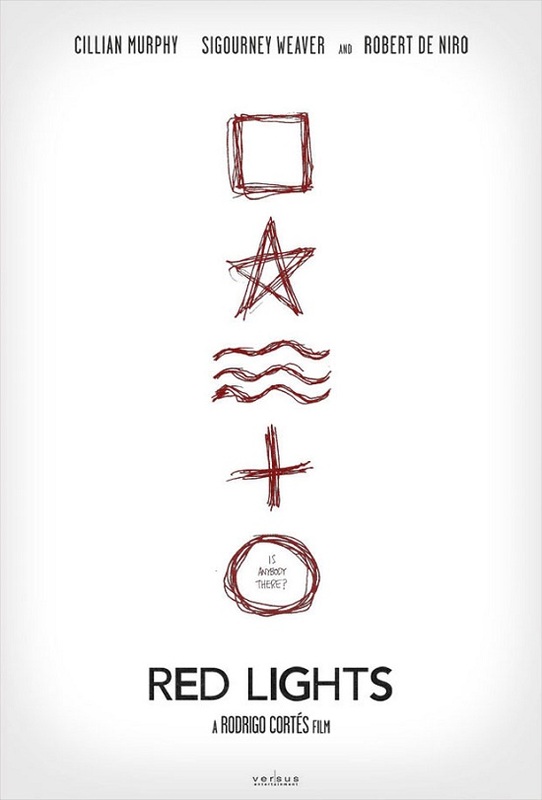 I'm reading: The International Trailer for Supernatural Thriller 'RED LIGHTS' Starring Robert DeNiro, Cillian Murphy & Sigourney Weaver!Tweet this!